Her latest release, Apartments for Lovers, is a solo guitar and voice album that showcases her rich voice and remarkable finger style guitar technique; a contrast to her two earlier releases that featured a collection of session players and elaborate arrangements. Shawna’s playful wit and sense of seasoned storytelling makes each performance intimate and captivating, no matter the size of the room. 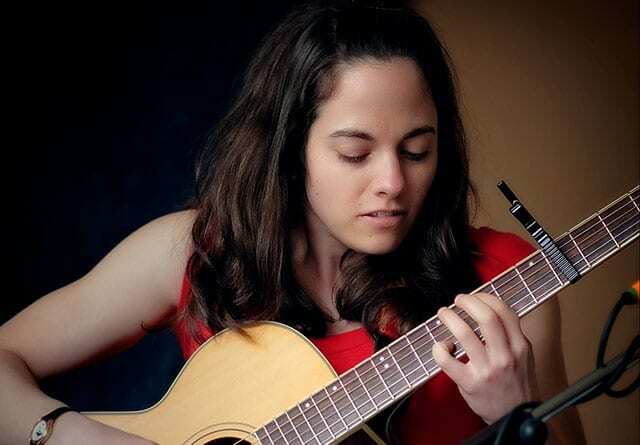 She has shared stages with some of Canada’s finest folk artists, including Jory Nash, Jon Brooks, Craig Cardiff, Suzie Vinnick, and Garnet Rogers. Shawna is based in Toronto, just back from some cross Canada touring. She has a few festival appearances lined up and we are thrilled that the Deep Roots Music Festival is one of those this year.